2019 dates are currently available. Please begin your application process to learn more about specific dates. 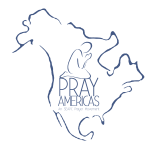 Prayer trips will be taking place February 16th-24th, as well as late October. There are opportunities to serve healthcare, education, and parenting in Myanmar. As part of a healthcare team, you will be prayer walking and serving in small communities and/or children’s homes that are in great need of medical care and compassion. Your patients could range from residents of remote villages who are in desperate need of medical care and first aid, to children at our partner children’s homes who need check-ups and minor medical care. As part of a parenting team, you will be prayer walking and serving in children’s homes. You will be serving right alongside SEAPC staff to host camps, minister to children, lead worship, play games, and/or teach English. If you have construction experience, there are opportunities to repair and upgrade children’s homes. The repairs can be as simple as painting walls or building beds to as complex as constructing bathrooms or taking on other major repairs.